Through the good word of our friend Lee Domingue, this cluster of 3 Canadian families ended up visiting during the City Hope week and joining in on some of our school visits. The Thursday visits to Yaruca, Nueva Suyapa, and Los Pirineos now included some Northern friends alongside our Alabama church team! 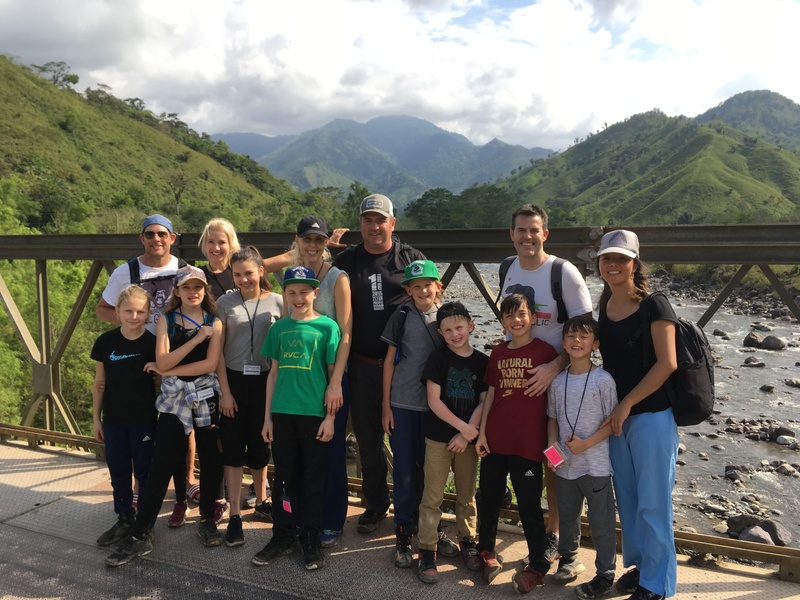 On Friday, when the City Hope team went down to La Ceiba, this family group went to the school in Rio Viejo and then hiked to Los Limpios with vitamins for the school kids. Even though they were only here a short two days, they did not sit still for long and joined in our outreach with eager curiosity. Full of questions and energy, they worked hard for their two days of ministry with us in the jungle and we hope to see more family groups introduce their kids to missions with them as this team exemplified!